Come with me to my family’s home five years ago. Look through the window at 5 AM and you’ll see a mom waking up, getting ready for the day and enjoying some quiet time before her kids’ feet hit the floor. She needed that quiet time so desperately that she was willing to wake up earlier and earlier to get it. That same mom (spoiler alert: it’s me…ha!) 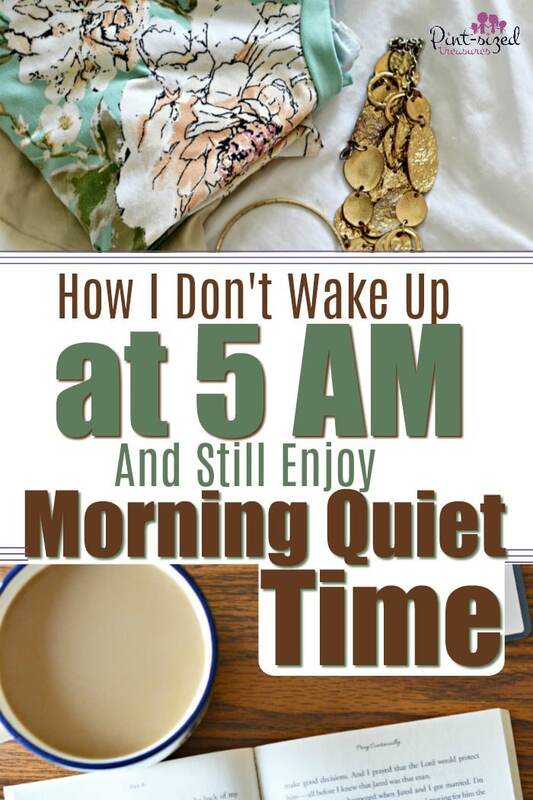 has come up with some simple strategies that helps her still get quiet time every morning. My morning actually starts anywhere between 6 and 7. The last two years as a work from home mom, a homeschool mom and a mom who struggles with chronic health issues has definitely made it more difficult to wake up at 5. But, when life and seasons change, you have to roll with it! I still get my morning coffee and quiet time in so I’m prepped for the day. Sticking to a morning routine helps me be a happier mom for my kids! How in the world do I squeeze morning tasks into such little time? It all happens the night before. I’m a breakfast eater. If I don’t eat breakfast, I’m a ravenous beast by lunch time. Waking up after five AM means I have to prep breakfast the night before. That way I’m not rushed or stressed! And when I prep breakfast, I figure all the details — including choosing which flavor coffee pod I want the next morning too. Hint: Hazelnut is always my first choice! 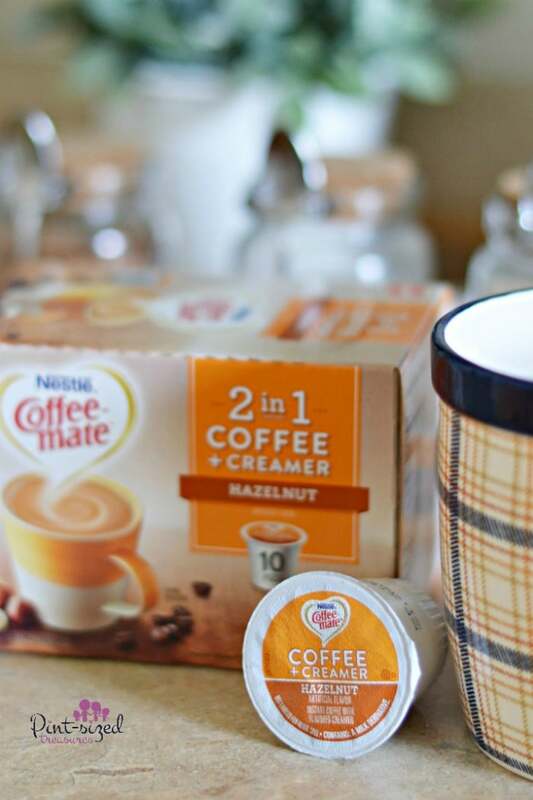 COFFEE-MATE makes it super simple for busy moms like you and me. I can get my coffee fix in one simple step with very little clean-up. The pods are super convenient and I can pop them in the brewer and just wait for a perfect cup of coffee. No stirring required, because coffee pods have everything I need in an amazing cup of coffee. And you can earn $2.50 off any 1 COFFEE-MATE® Coffee Pod (10 ct.) right here! Here’s a tip from a complete coffee snob: for the yummiest results, shake the coffee pod before using. That gets all the yummy ingredients thoroughly mixed together. Also, don’t forget to run hot water through your brewer after each use to prevent blockage. There’s instructions on the back of the package that walk you through that process! 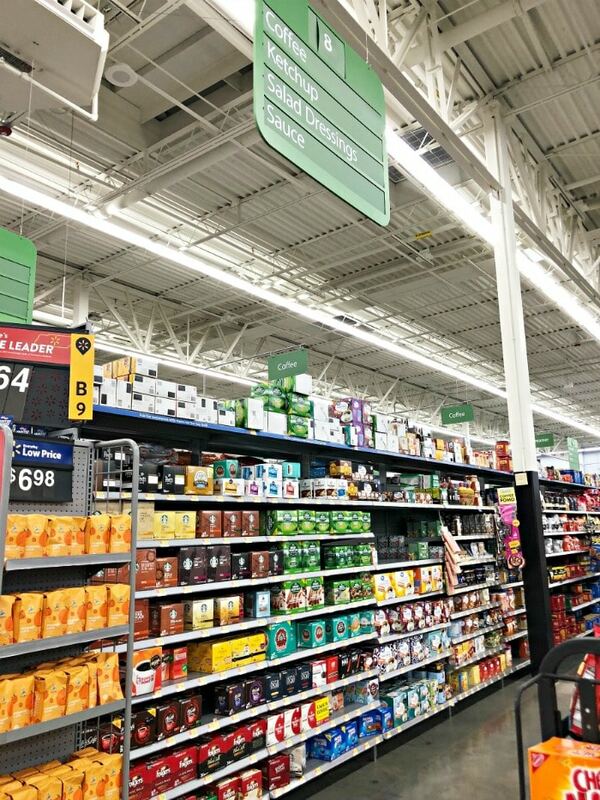 Most local Walmarts carry these easy-peasy, super yummy coffee pods. That makes stocking up super simple! But I don’t stop at prepping my breakfast, I also choose the next day’s outfit. No running around the house in a towel, pulling out shirts and scarves from the drawers and leaving my room in a chaotic mess. 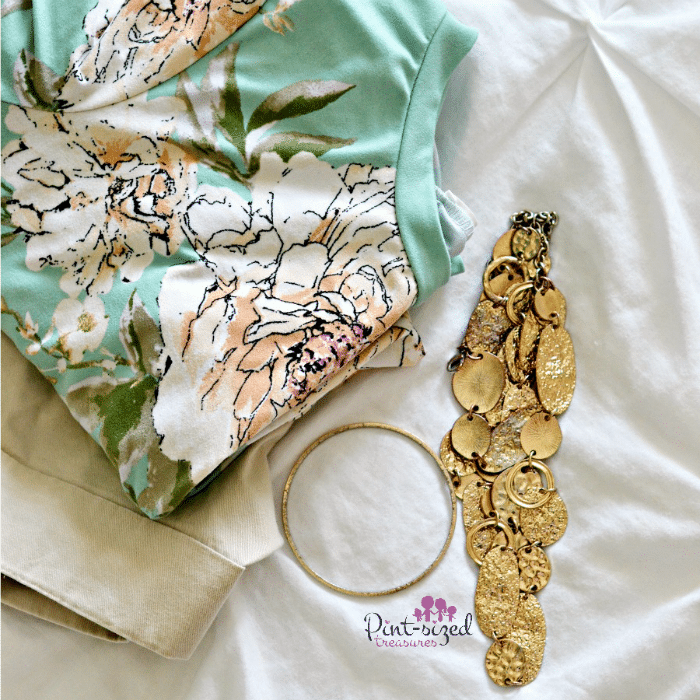 Choosing my outfit the night before helps me focus on my morning quiet time. It’s the little things that truly make a difference! Since our house is full of six incredible kids, I also make sure their mornings are happier too. For my kids, I keep mornings gentle, quiet and relaxed. Sometimes a mug of warm milk and these breakfast cookies gets all the kids in a “ready to tackle the morning” attitude! And my exercise routine has changed quite a bit too. I’ve always struggle being completely faithful to an exercise routine, but on my best weeks I’d get up at 5 AM and exercise for 30 minutes or an hour. I’m not using a leisurely morning to give me an excuse to give up on investing in my health. It’s just moved to a different time slot in my daily routine now! Exercise happens after my kids finish school and before dinner prep. And that little time switch has been a stress-saver for sure! Oh, one big change that happened just this very month has made my mornings a lot more slow and relaxed. I’ve never been an awesome meal-planning mom, but this month I planned every single thing our family would eat and drink. We even planned our snacks! This way everyone knew what we were eating for breakfast days and even weeks ahead. We kept it simple by eating the same thing on specified days. And every single Tuesday that’s what we eat…until the next month. Next month Tuesday’s menu will be different, but for September, this is what Tuesday’s menu is. And everyone is loving this plan! It also makes it easy to stock up on all our meal ingredients and coffee! 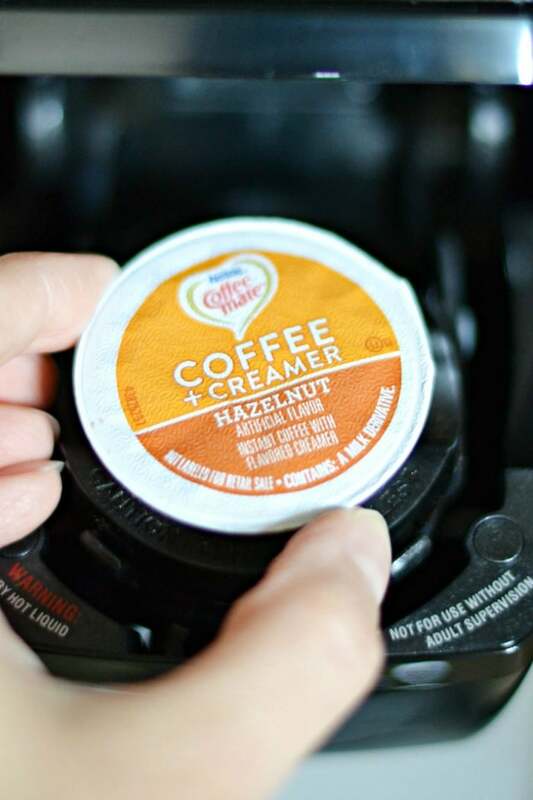 IF you peeked at my grocery list, you just may see Hazelnut coffee pods on it! 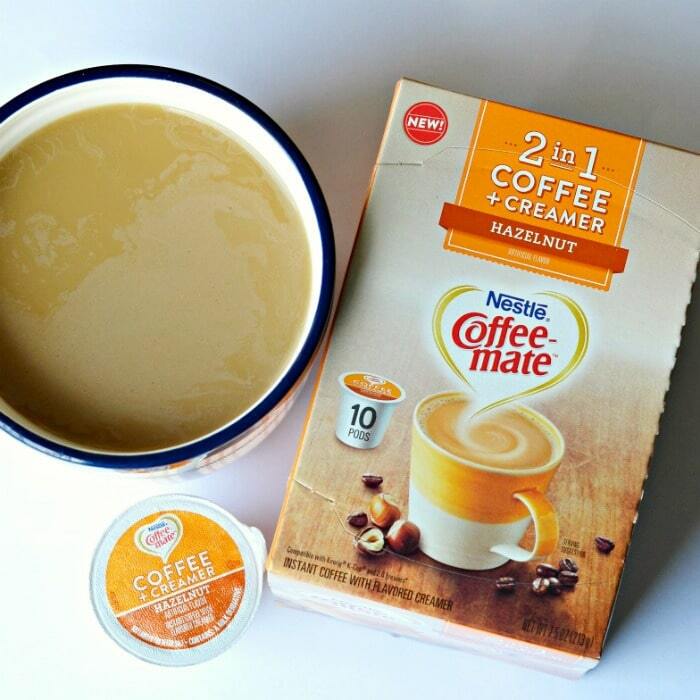 COFFEE-MATE® 2 in 1 single serve pods combine quality NESCAFÉ® medium roast coffee with delicious COFFEE-MATE® Hazelnut flavored creamer. This totally works for me because I’m a medium to bold or strong roast gal and I love the convenience of having my coffee and some sweet hazelnut flavor already combined! The coffee pods are compatible with Keurig® K-Cup® and 2.0 Brewer Keurig® K-Cup®. Double convenient for most of us! 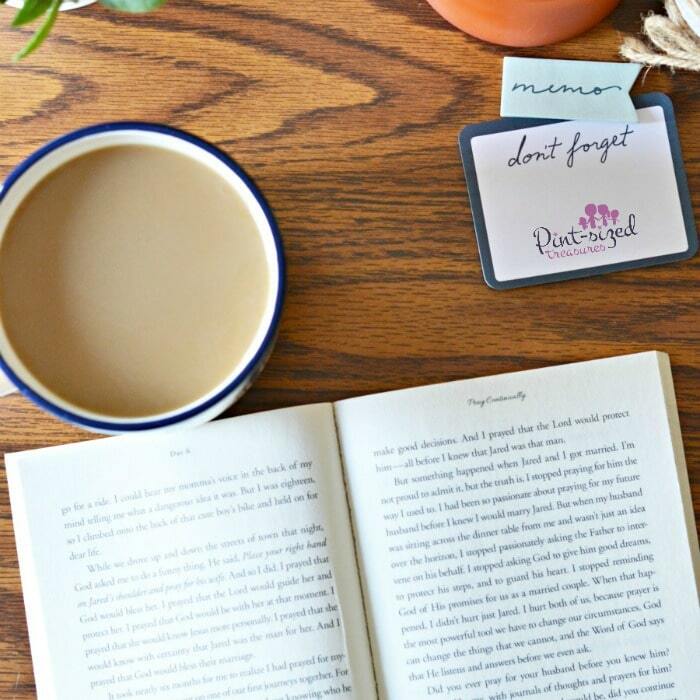 Coffee pods help keep my mornings no-fuss because the pods are perfectly measured. It makes grabbing a monthly stash of coffee super easy! And we can grab our two favorite flavors (French vanilla and Hazelnut!) 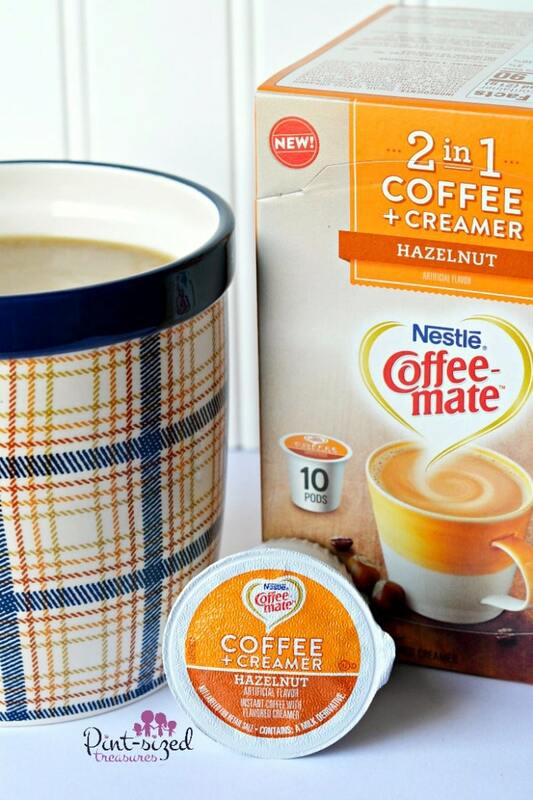 in the Nestle coffee pod and switch them up so our morning coffee never gets boring! Coffee definitely makes the mornings better. <3 Wish I had thought of changing things up a bit years ago! It would have helped my mornings to be more relaxed and I could have gotten an extra hour or two of much-needed sleep! We could all use that, right? 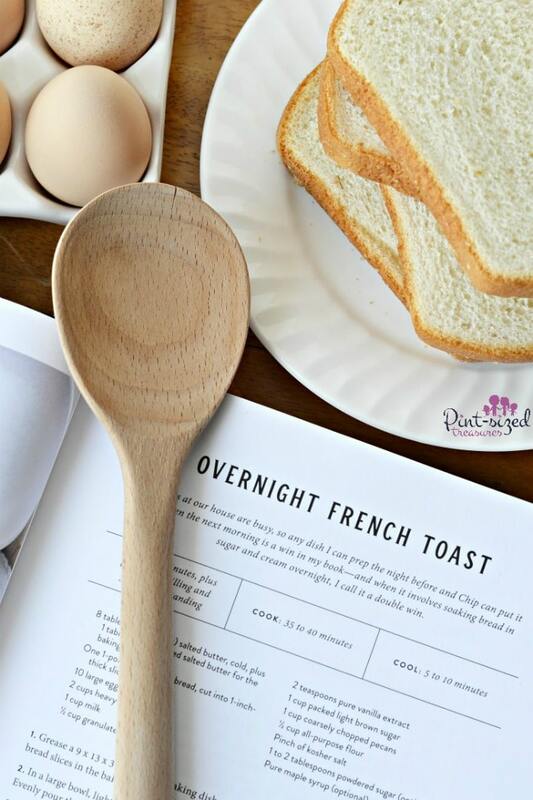 How do you have more relaxed mornings around your home? Do you prep the night before? Do you have an awesome night before prep idea that I didn’t mention? Be sure to share that with me and our other mom readers in our All Things Mommy group on Facebook!